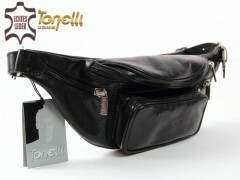 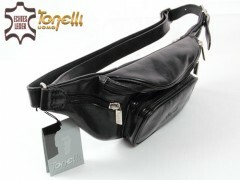 Italian leather belt bag fanny pack, model 2037 California Black Tonelli Uomo. 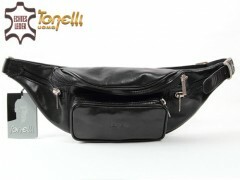 Large two-part main compartment with front zipper, two side zippered pockets for small items, such as patch pocket with zipper for phone or glasses. 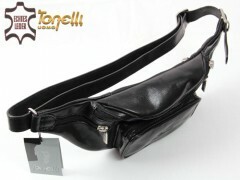 On the back is a zippered compartment. 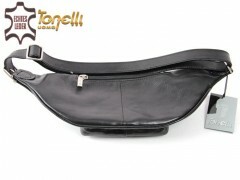 Adjustable strap up to 125 cm.